It’s always interesting to see the role that an artist’s formative years played in the development of their music, particularly in pop. Often it’s the case of a relative serving as a songwriter or artist in their own right, with a musical legacy passed down a generation and enhanced in their own way – see Kesha, Miley Cyrus and a whole slew of others. For Thea Glenton Raknes though, mastermind behind Norwegian indie-pop project Thea & The Wild, her exposure to art came from all around during her childhood, whether it was her mother’s self-professed hippie flat in Oslo frequented by all manner of artists and poets, or her father’s boat with its crew of progressive rock musicians. Even if this all sounds far too much like the plot of a pretentious arthouse film, it seems to have paid off in terms of musical growth, especially with debut Strangers And Lovers nominated for a Norwegian Grammy. On its follow-up Ikaros though, Raknes seems to be transitioning her musical upbringing into its more Bohemian upper limit, this time making the move to more dense, wiry synthpop than the indie-pop of her debut. And yet, it’s difficult to say whether that works in her favour – where Strangers And Lovers may have been fairly conventional as far as indie-pop is concerned, particularly a more expressive European brand of it, an emotive core and affecting songwriting made it a solid little listen; with Ikaros, it feels a little more uncertain, scurrying between various tones and sounds with little form, even when it stumbles upon one that really works for it. And that really is the main issue, particularly when the other fundamentals of Raknes as a performer remain fairly solid throughout. There’s enough of a pliability in her vocals to accommodate the necessary emotional response, whether that’s a more vulnerable and understated warble on When A Kiss Becomes A Habit, or the slightly thinner but unequivocally bolder Paved The Way. And while there’s not a lot that’s really fantastic or ear-catching in the writing, for this brand of synthpop, the fact that it hits the bar in terms of emotionality and melody is hard to deny. That leaves the majority of Ikaros‘ problems in its instrumentation, which is easily the most hit-or-miss aspect of this album. For only nine tracks, there’s not much room to be as loose and unfocused as this album can sometimes seem, and where a tighter, more purposeful thrum would’ve benefited it to no end, Ikaros plays around with tones that are more languid or just weirder overall, and there’s a significant amount of bloat that comes from that. The acoustic-driven pair of the title track and Power Is A Lonely Place might divert back into more of a recognisable indie-pop tone, but they’re so watery and uninspiring that it’s difficult to get past how they simply drape across the tracklist, while opener Dark Horse faces the complete opposite problem with its incredibly shrill, bitty synth stabs whose harshness sets them far apart from anything else on this album. By comparison, there’s a lot more depth and misty swell to tracks like When A Kiss Becomes A Habit and The Wars that builds with the keys and synthesised strings, and the beautiful City Of Gold could easily be a Chvrches song, both in terms of instrumental character with a sandy beat and simmering guitar line, and of just how good it is. It’s a testament to what Raknes can achieve at her best, and while it’s encouraging to see an artist breaking out of their comfort zone and embrace more off-kilter styles, the enormous disparity between the best tracks and the obvious filler speaks volumes. But at the end of the day, there will be a core audience that’s satisfied by what Ikaros brings to the table, that being a less conventional brand of indie and synthpop that retains its ties to a more accessible form, and it’s easy to see where that appreciation comes from – after all, Raknes does prove to have a level of compositional talent that’s hard to deny. But when put alongside so many other acts in this vein, Ikaros ends up falling short, not being a focused or precise as it could and should be, and losing its way because of that. It’s definitely still enjoyable enough, and short enough that you definitely do worse than at least giving it a look, but, especially with a new Chvrches album on the horizon, it’s not one that’ll likely last or stand out for long. 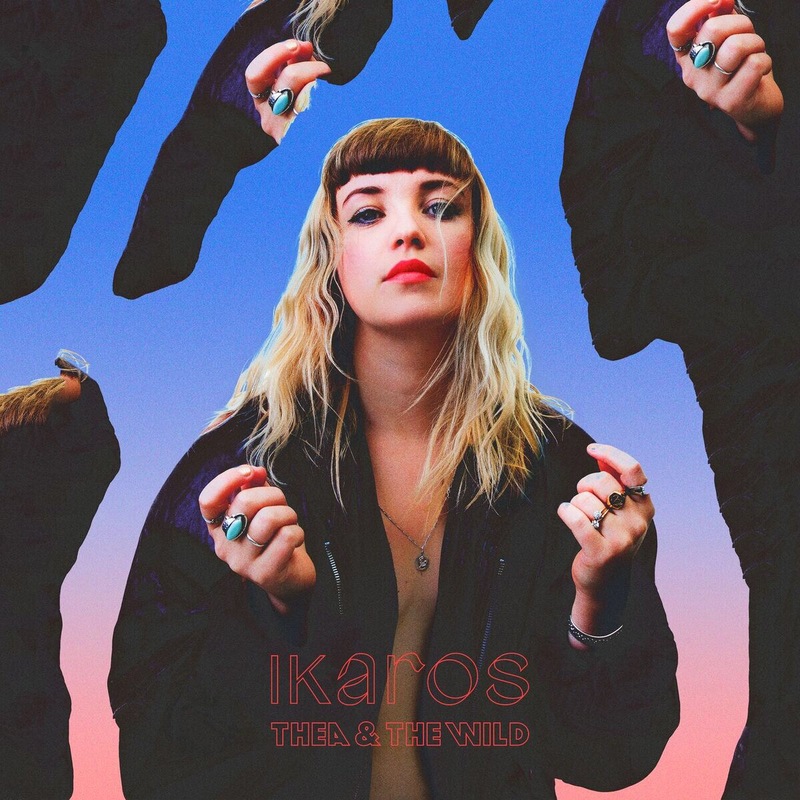 ‘Ikaros’ by Thea & The Wild is released on 2nd February on Propeller Records.